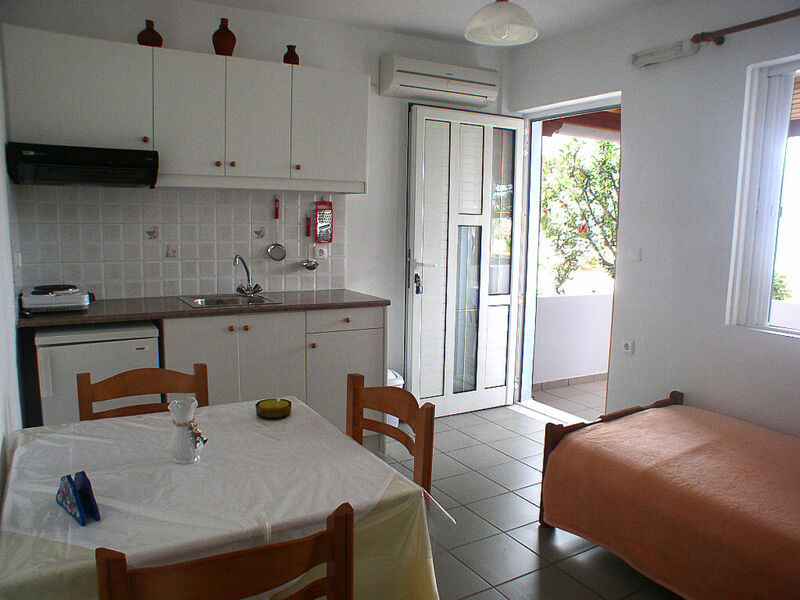 Studio apartment for 2 to 3 people with TV, air conditioning, balcony or terrace in the fishing village Mochlos the sea. 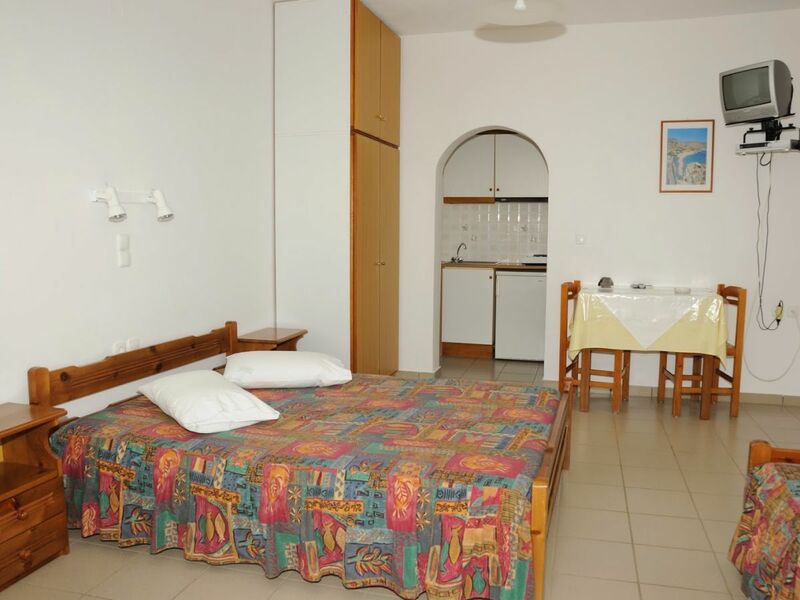 Here you spend your holiday with Cretans. 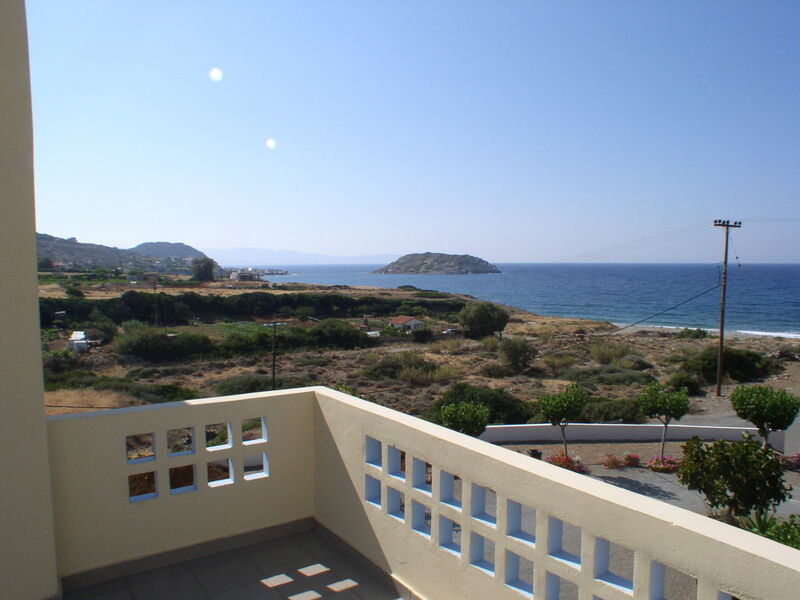 The apartment has a balcony overlooking the sea and almost the whole bay up to a impressive rock and on the back side offers a magnificent view of the mountains. 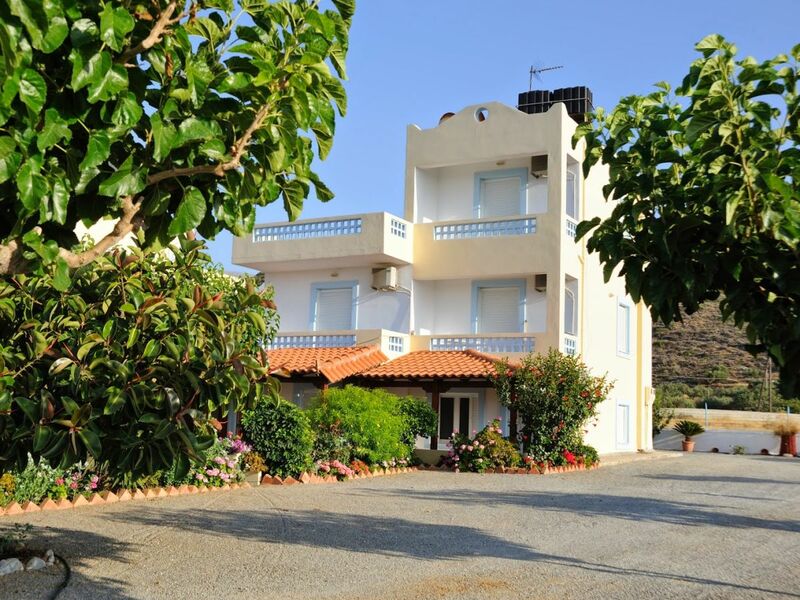 The building is on a 2000 sqm plot, 1 km from Mochlos. 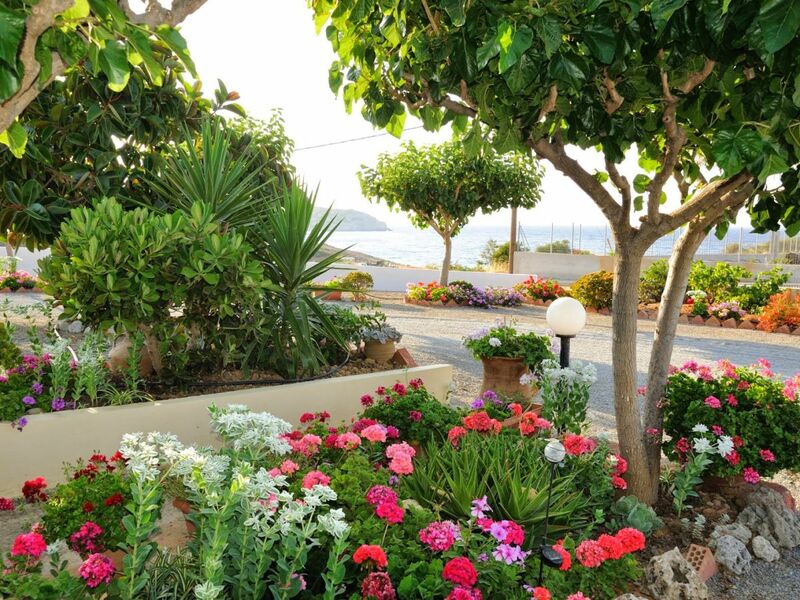 The garden is landscaped with many flowering plants and small trees. 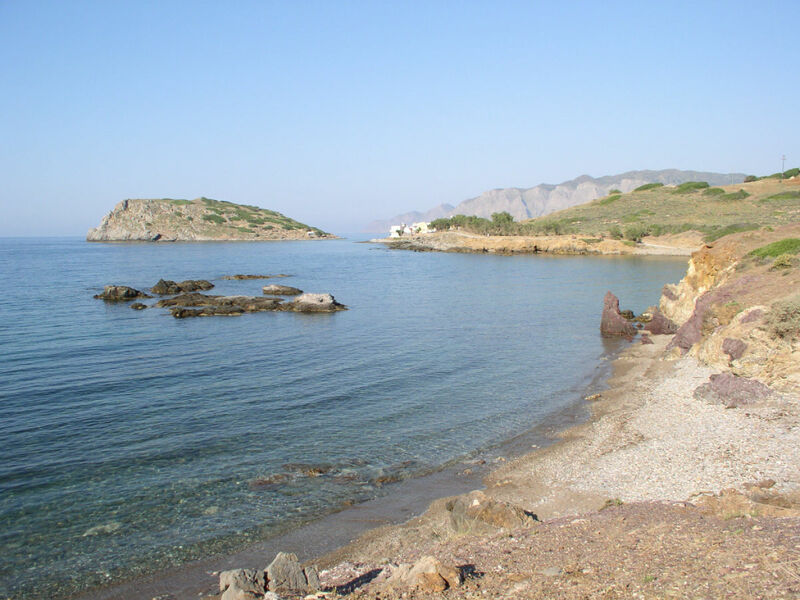 Mochlos is known for very good fish tavernas. This is the place for all who seek peace. 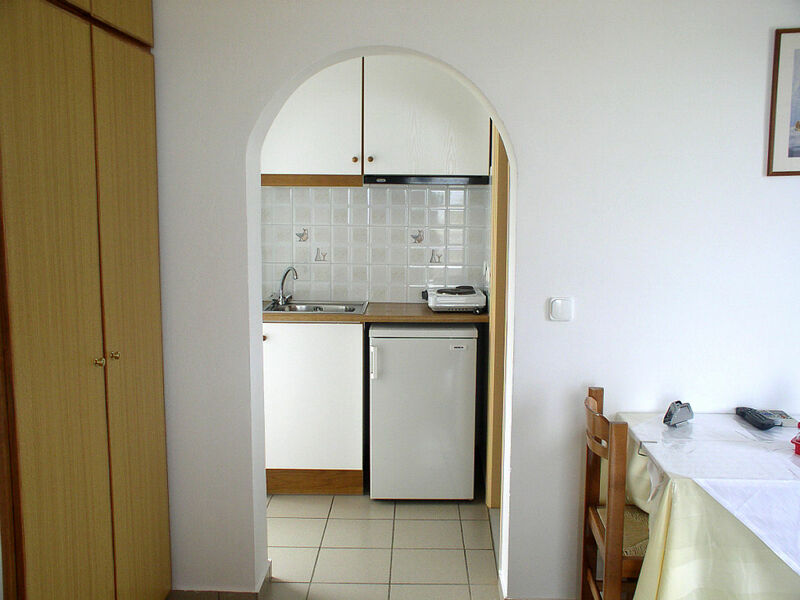 The Apartment with terrace is (conditional) availbale with wheel chair. For details and more photos, please ask by email. 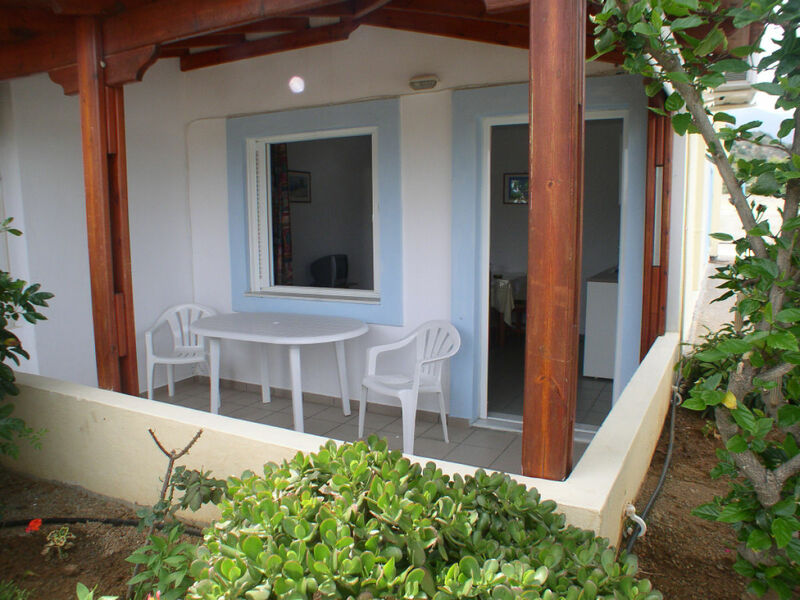 Especially nature lovers feel at home here in the rest really well. 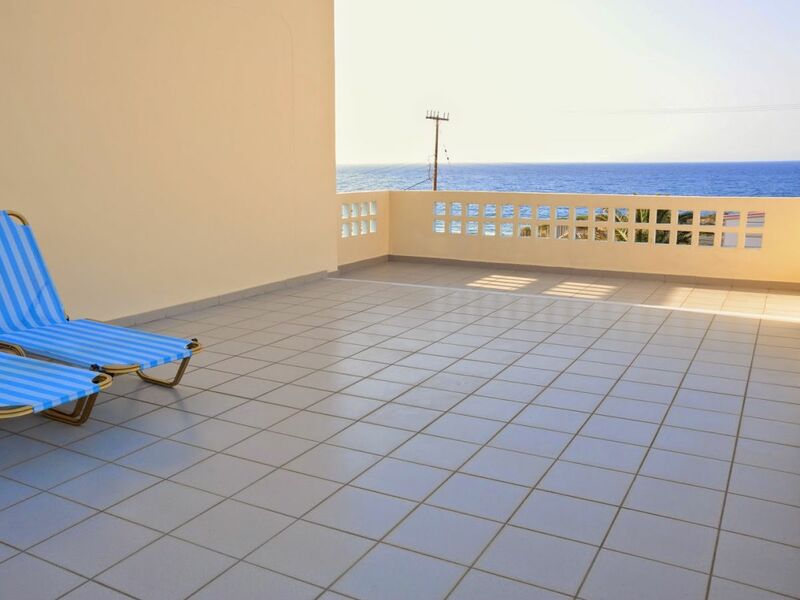 The Apartment with terrace is ok for with wheel chair. 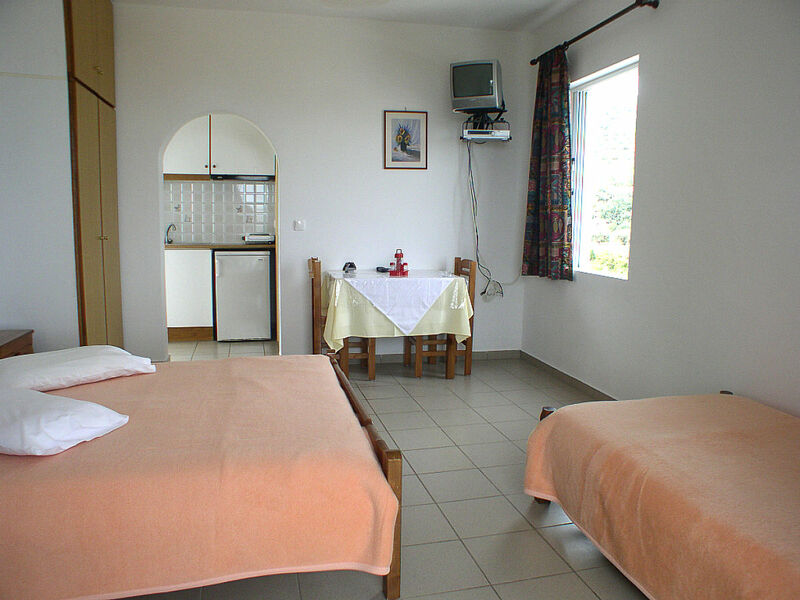 We send you more information, more detailed description of the apartment and photos by mail. 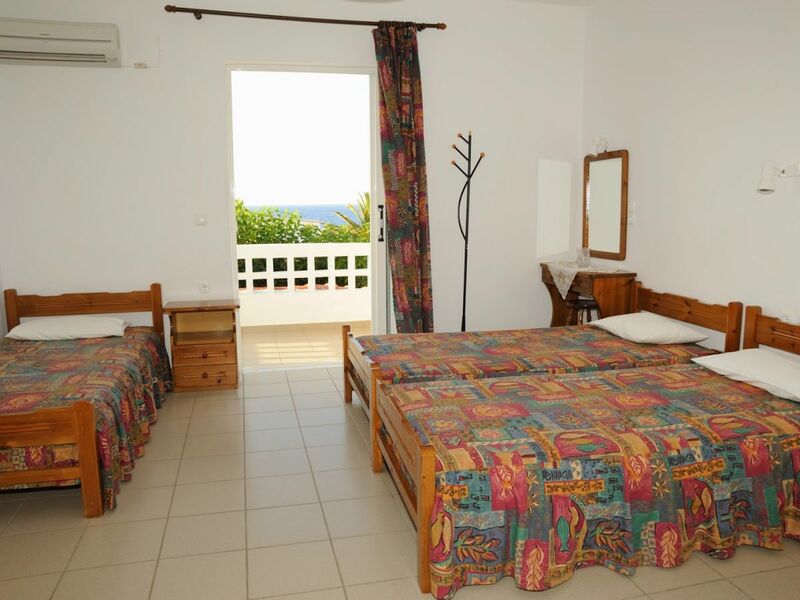 There is a pool 300 meter far which can be shared with other guests. We will give you further information via email. Only of limited use with wheelchairs. 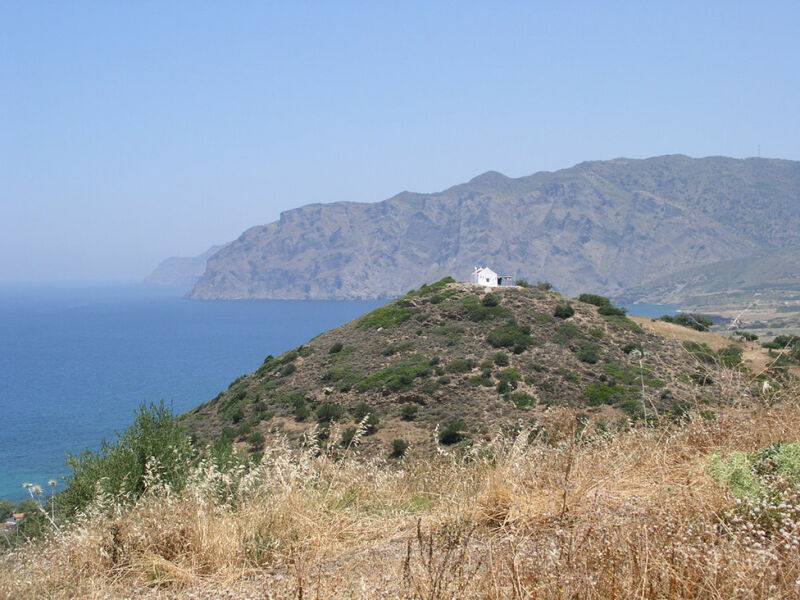 The region of east of creta is suitable especially for excursions to the mountains on foot or by jeep and an ideal starting point is in every type for activities. 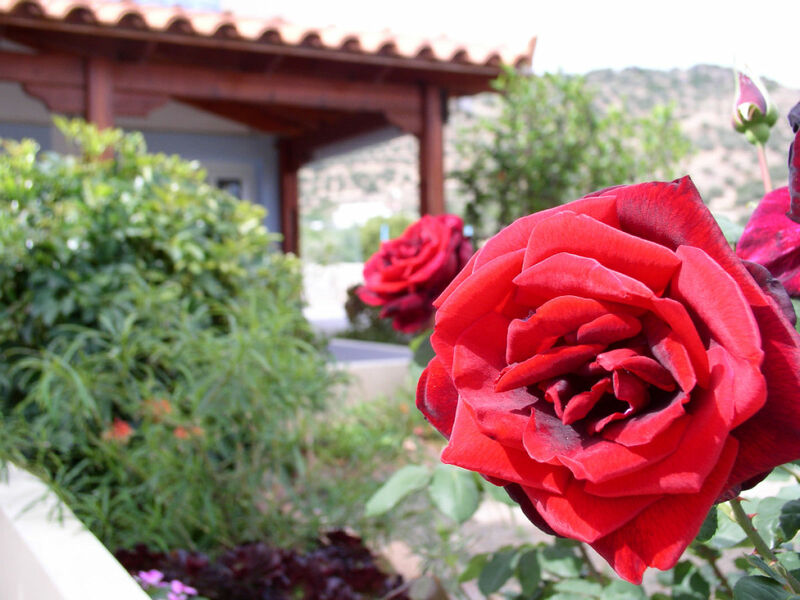 Culture enthusiastic, nature and animal lovers will discover much on Crete. With 260 km of length and max. 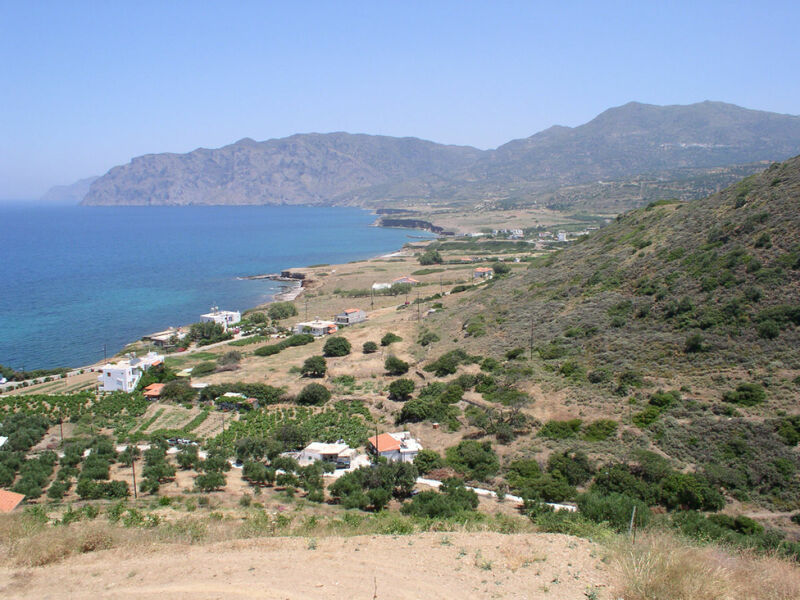 60 km of breadth Crete offers different landscape lines and many mountains more than 2000 meters. Nearby islands invite to boat-tours (only in summer). 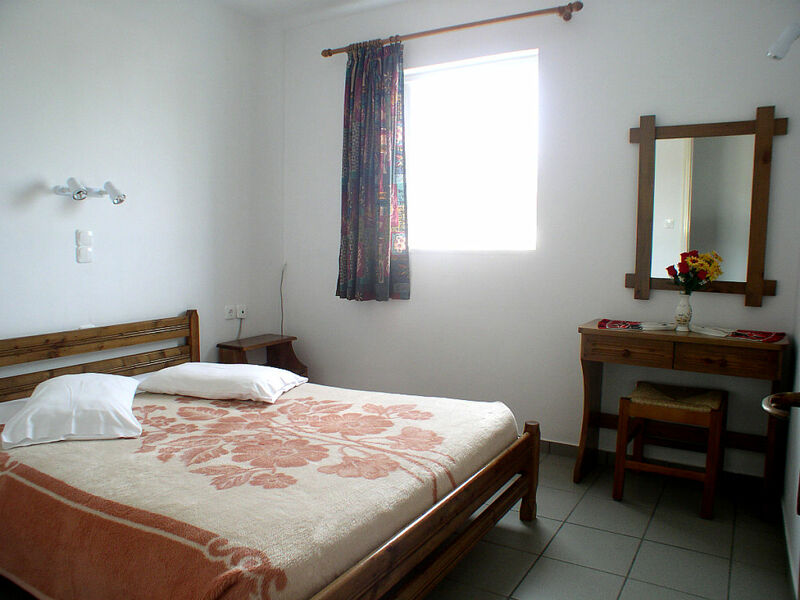 We inform you about country and people, leisure possibilities and individual activities and organize everything for you on the spot. Mochlos is a quiet village. Here you dont have a lot of tourism. This is the place for those seeking tranquility. 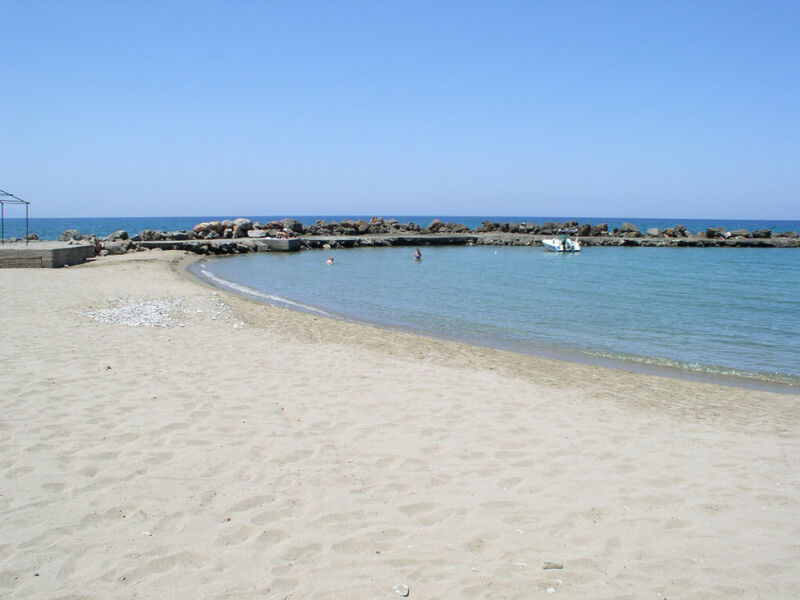 Mochlos has many very nice bays with crystal water for your swim. 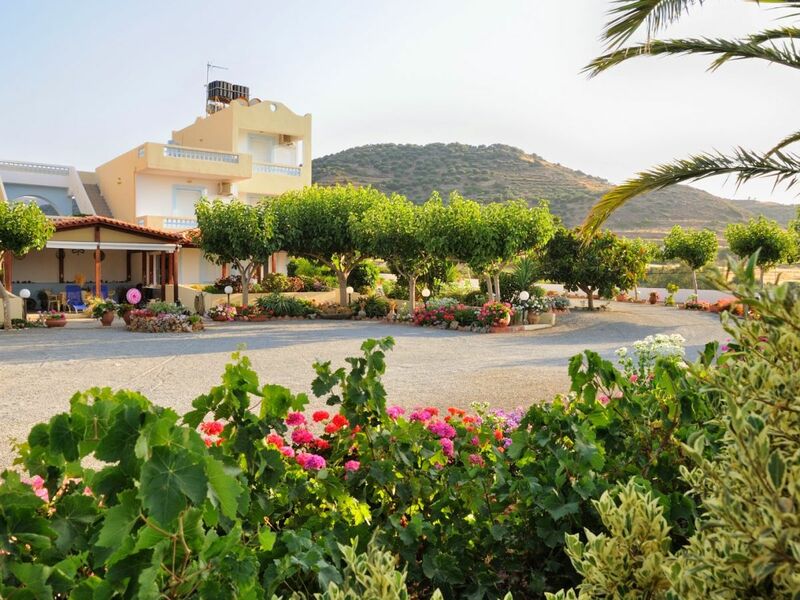 A lot of good restaurants invite you for the traditional cretan food. They all have very good fish! For more informations we will send you an email. You will fly to Heraklion. We can arrange for you a safety car and we can tell you possibilities for a transfer. Payment and cancellation conditions we send by email. We will send you more detailed information with photos via email. 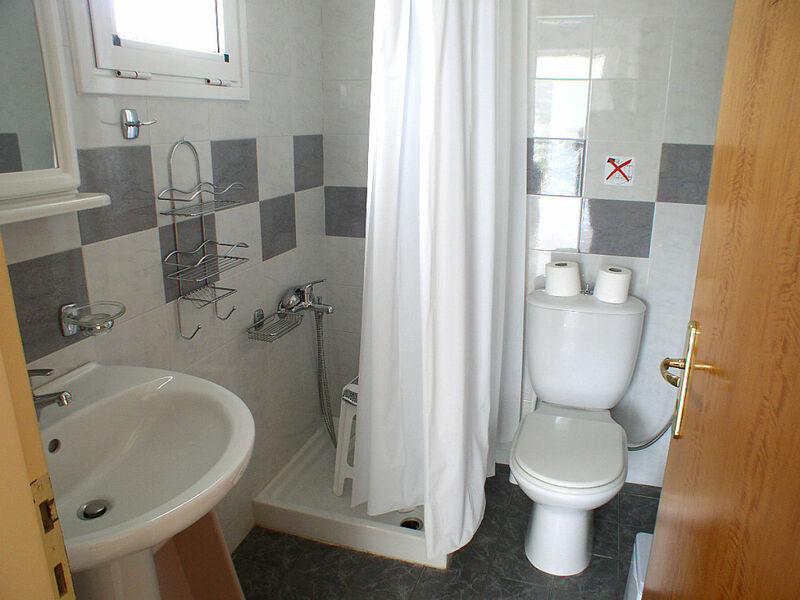 We would like to send you more pictures and informations about our apartments. Please contact us by email. Wir waren zum ersten Mal auf Kreta und es war unsere erste Individualreise. Ferienwohnung, Mietauto & Selbstverpflegung. Ein bisschen Bedenken, was auf uns zukommt, hatten wir schon. Aber wir sind absolut begeistert von der Insel, der Unterkunft, den Einheimischen und dem überaus leckeren Essen. Die Unterkunft ist absolut empfehlenswert. Der Kontakt vorab war sehr nett und wir hatten im Vorfeld schon viele Tipps hinsichtlich Strände, Sehenswürdigkeiten etc. bekommen. 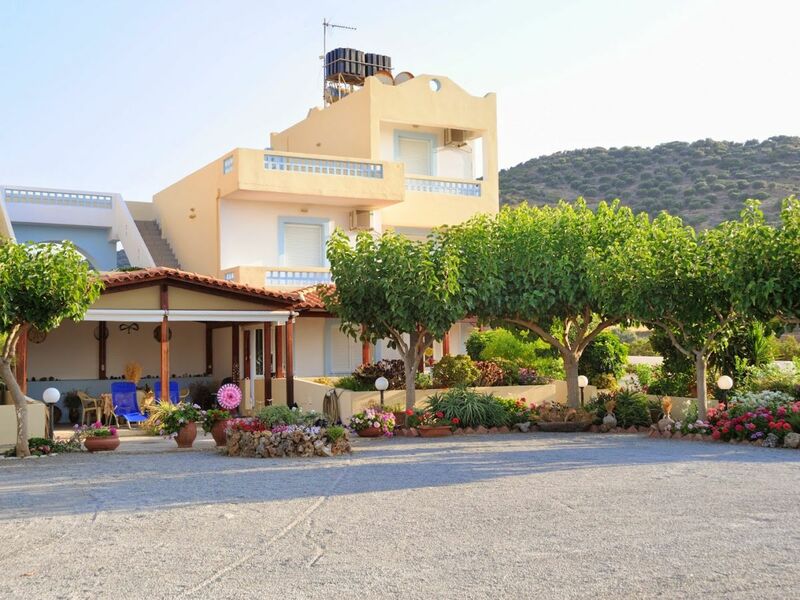 Auf Kreta fanden wir eine gemütlich eingerichtete & sehr saubere Ferienwohnung mit kleiner Kochnische vor. Wir haben uns dort sehr wohl gefühlt und können die sehr hilfsbereiten & tollen Gastgeber und den kleinen Ort Mochlos mit den kleinen Tavernen nur weiterempfehlen. Seit 15 Jahren im Portal online und noch keine Bewertung? Wir waren skeptisch und haben trotzdem gebucht Für uns ein Volltreffer- wir waren angenehm überrascht: Super sauberes Studio, komplett ausgestattete Miniküche , alle Fenster mit funktionierenden Moskito-Rollos. Bereits nach 3 Tagen Bettwäsche- und Handtücherwechsel. Äußerst freundliche Vermieterin . Anfang Mai war ein idealer Urlaubszeitraum: menschenleere Strände, wenig Touristen, trotzdem angenehm warm. 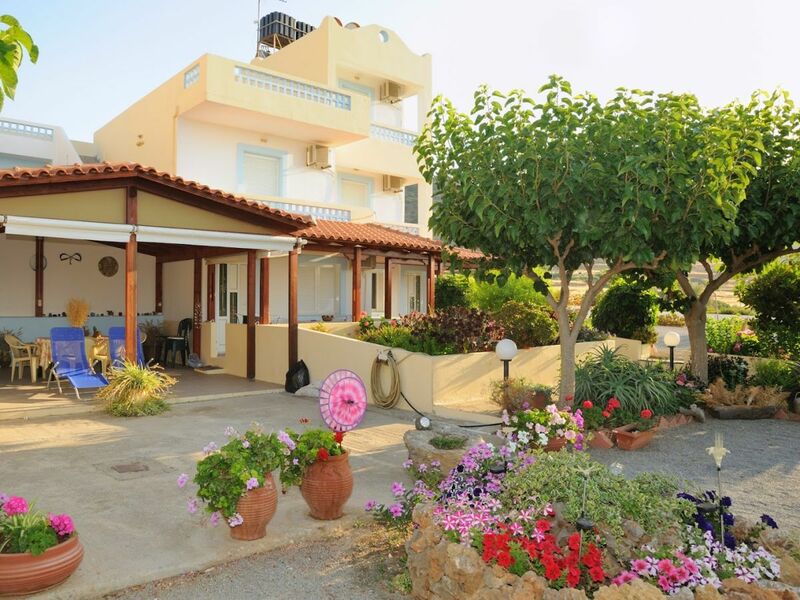 Überall die herrlichsten, farbigen Blüten (der Einkaufsweg nach Sitia in fantasticher Farbenpracht)! Es ist richtig: dies war die erste Bewertung. Unsere vielen Stammgäste wissen es zu schätzen und wer es einmal hier genossen hat, will es auch nicht unbedingt "der Welt" mitteilen, damit es auch beim nächsten mal wieder frei ist für sie. Außerdem möchten wir vermeiden, daß sich jemand durch die Bitte, uns Bewertungen zu schreiben, genötigt fühlt. Aber trotzdem herzlichen Dank für Ihre freundlichen Worte und ich bin sicher, auch Sie werden wieder kommen. "Holiday apartment >Private Sun< in an fisher village" achieves a review of 5.0 (ranking scale: 1 to 5) due to 2 entered reviews.